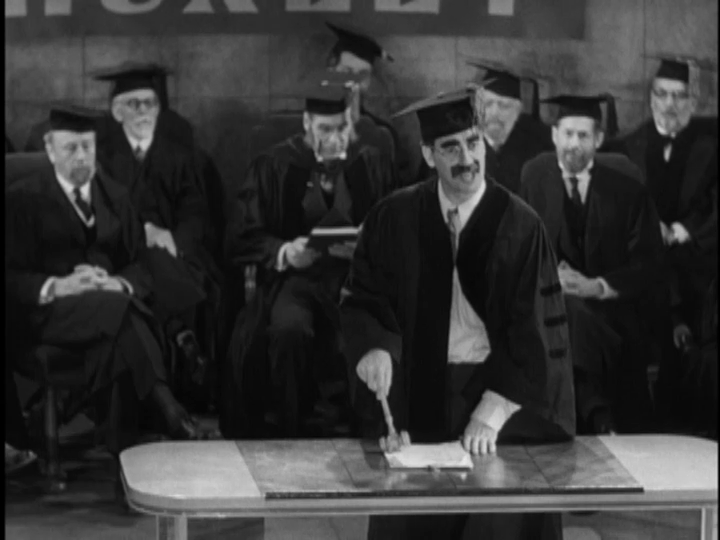 The new president (Groucho Marx) of Huxley University hires two bumbling spies (Chico and Harpo Marx) to help his institution win a big football game against a rival university. Professor Wagstaff: Tomorrow we start tearing down the college. Professor Wagstaff: Where they always sleep: in the classroom. Yes. 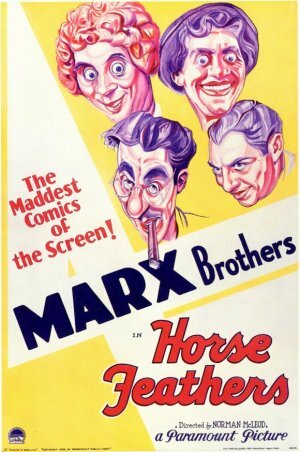 Most film fanatics will be curious to check out all of the Marx Brothers’ early Paramount Studios classics, including this one. Not a must – but I’ll concede that some may find this one more enjoyable than I do. 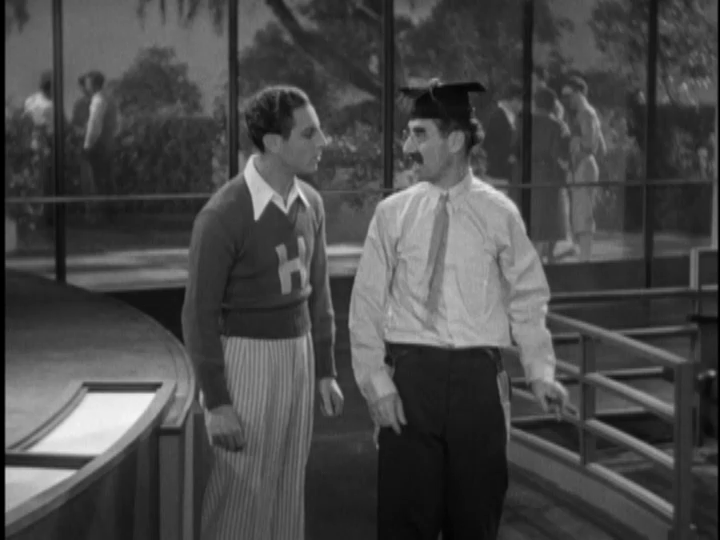 To me, ‘HF’ peaks early with ‘Whatever It Is, I’m Against It’ – an extremely clever song (which segues into ‘I Always Get My Man’), delivered with Groucho’s delightful gusto. From that point, the film quickly becomes way too spotty for my liking. There are a lot of jokes that simply haven’t held up. On the other hand, sprinkled throughout are some very nice quips and touches (just not nearly enough for me to be enthusiastic). All four brothers get to do a version of ‘Everyone Says I Love You’ – and each is pleasant enough (with different lyrics, and with Harpo whistling), although Zeppo is rather bland (as he is in general). As well, Chico and Harpo each get their own musical interludes and those are always welcome. Overall, I think Harpo comes off best here with his varied visual gags. Somehow Harpo always seems fresh to me, no matter what – perhaps because his ‘jokes’ don’t tend to age.